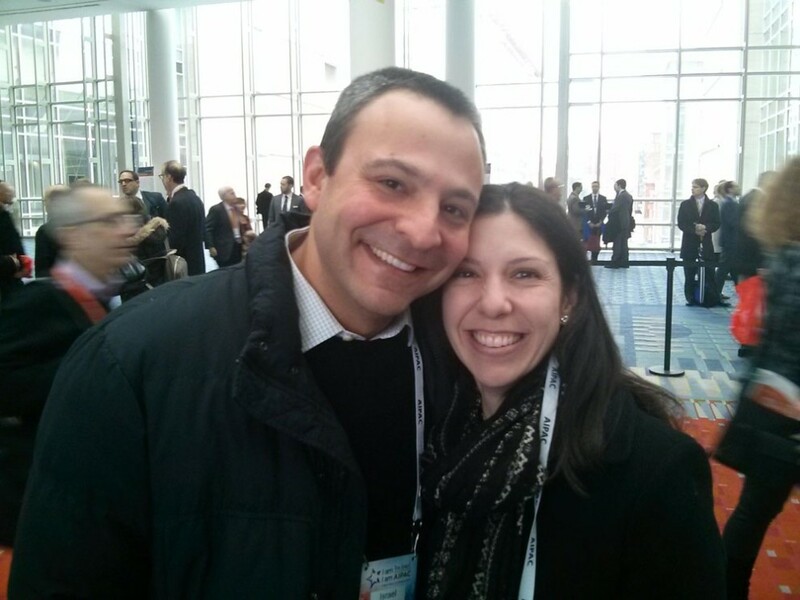 This year will be the fourth time Valeska Zighelboim and her husband, Israel, attend the American Israel Public Affairs Committee, or AIPAC, Policy Conference. Hailing originally from Venezuela, the first time she went, “we were not very sure about this whole political thing,” she said. But soon she realized, “Even though it’s a political program, it’s not about the politics. It’s really about the support of all these people in the United States for Israel.” The AIPAC Policy Conference is the largest gathering of America's pro-Israel community, with over 18,000 pro-Israel Americans attending each year. It’s also visited by more than two-thirds of Congress and culminates with the opportunity for delegates to lobby in support of legislation that enhances the relationship between the United States and Israel. One of the things which surprised Zighelboim most was the bipartisanship of it. “I would encourage anybody to just go and try it. It might sound intimidating, but it doesn’t matter if you’re a Republican, Democrat or Independent. It’s really about being there to support Israel. I think for all of us Jews, it’s very important. We need Israel. And that is what it’s about, to support Israel. Both parties can sit together and agree,” she said. But, it only makes sense that so many people would want to return each year for what Zighelboim describes as “an amazing experience … so fulfilling, you really want to grab your checkbook and give every single penny while you’re there.” This year’s conference is March 24-26 in Washington, D.C., and Zighelboim hopes that people will just try it once and “get hooked” as she has.